1. It's always easier to start with dirty/clean hair but I've rocked the look after washing my hair the night before, it just might be a little more difficult to put up so I recommend having day old hair that has some texture and possible wave to it. (This isn't required but it will make your life easier). This beach wave spray helps add texture and grit. This brand is amazing and super affordable. You don't ever need a ton, so this should last you forever! Grab the crown of your head and give it a good tease. 2. 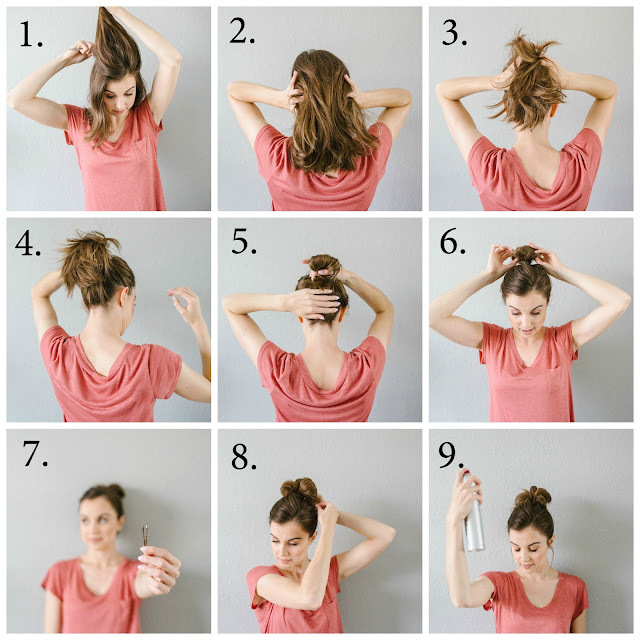 Smooth your hair so it's not too crazy and grab it like you are going to put it in a high ponytail. 3. 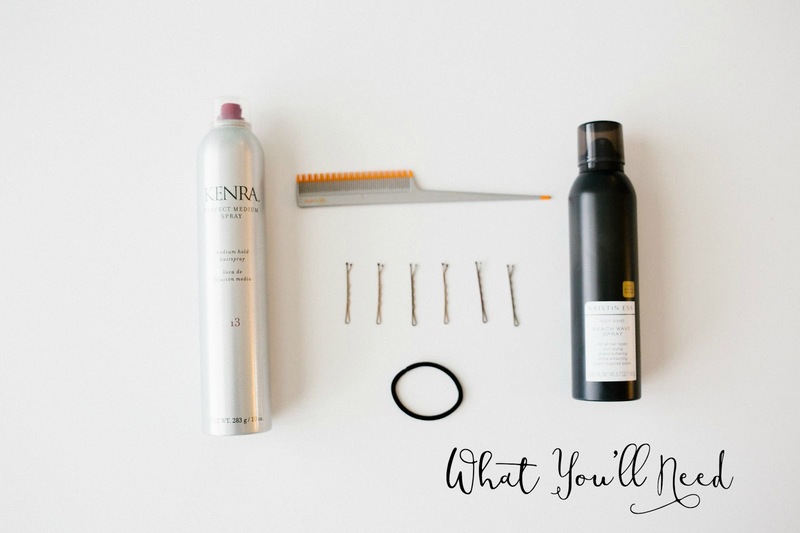 Collect any fall out hair and get it pulled back, we will loosen things up at the end but to start you want everything pulled away from your face. 4. Brush the underneath portion of your hair to make it look clean and crisp with no bumps. 5. Take your ponytail and fold it in half with your hair around the middle. 7. Grab those bobby pins! 8. 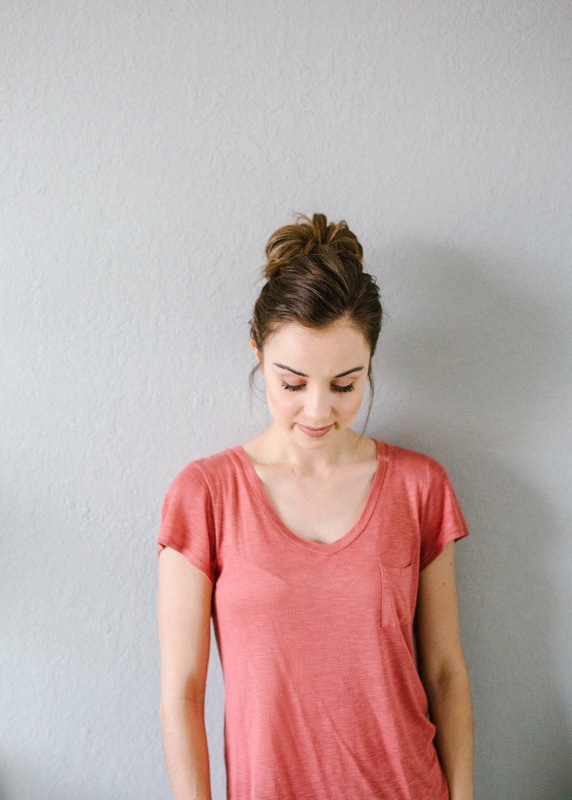 Pin any messy pieces or the sides to create a fuller look. 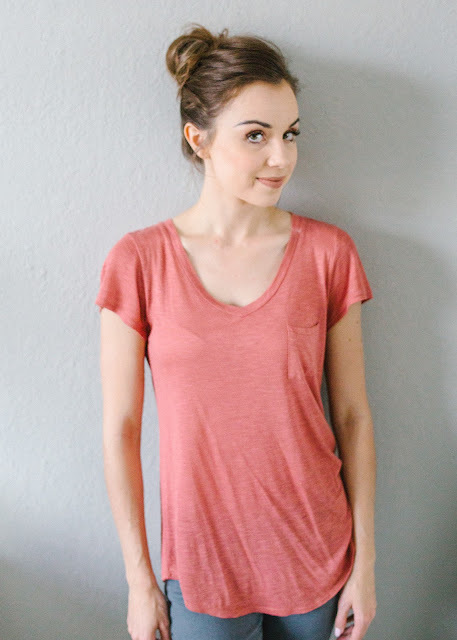 Once the pins are in, pull and stretch the bun to make it full (if that's what you're heart desires, if you want it more sleek, just leave it). 9. Lastly, give that bad boy some hairspray and call it a day! For a fun touch add some crazy earrings to dress the do up or wear some simple studs if you are going for more casual. Hopefully this is helpful to each of you! If you have questions don't hesitate to ask or shoot me an email!